We stock standard size nuts from 2-56 through 3″. Fine thread, left hand thread, plated and metric are also stocked. To round out our standard stock offerings, we have a full line of metric sizes in plain finish, zinc plated as well as metric stainless steel fasteners . 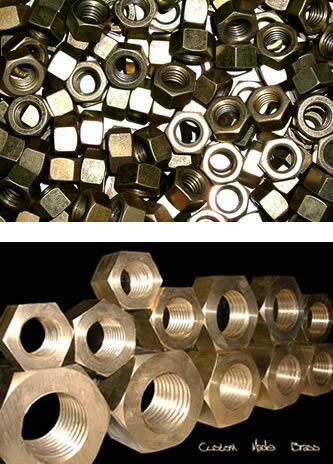 We have the ability to manufacture 1″ thru 2 1⁄2″ stainless steel hex nuts and brass hex nuts. Currently, production runs of 25 to 500 pieces are what we are best suited for. Whether it is a simple finished hex nut, coupling nut, locknut or any of the locking nut varieties (even metric), Connection Service Company prides itself on doing an excellent job of shopping all the various options to find the best deals in terms of price, quality and lead time. This time consuming operation is our service to you freeing you to accomplish other tasks.